Constitutional reform happens more often than you might think. On average, countries around the world replace their constitutions every 19 years and amend them every two years. It’s not an easy task, even if it’s common. Constitutions are often the result of deliberation, discussion and discovery—discovery that often comes from writing together. But collaborative writing can be challenging. It’s hard to write something with other people and still make it cohesive, harmonic and readable. These pitfalls are particularly salient for constitutions—documents that are supposed to represent the aspirations and principles of a people. That’s where Constitute comes in. 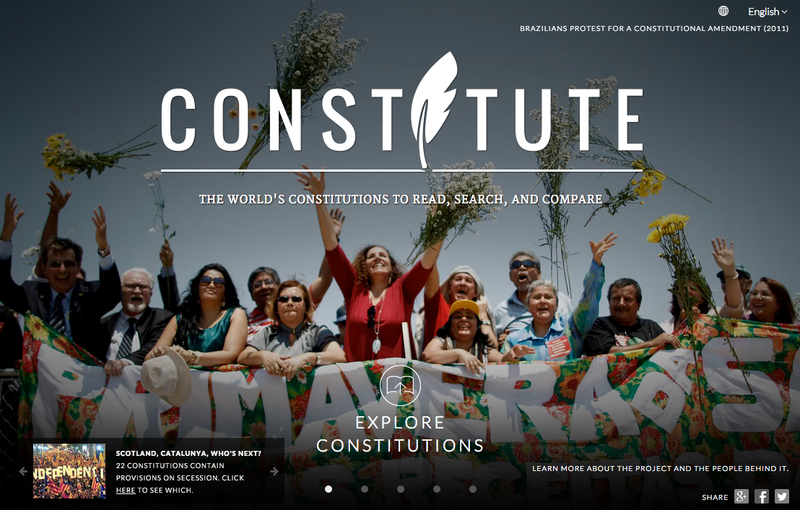 A project of the Comparative Constitutions Project and seeded by Google Ideas, Constitute allows anyone to read, search and compare every constitution in the world, indexed by topic. Constitute is built for people to analyze text, but they can move from analysis to drafting by exporting constitutional excerpts directly to Google Docs—a shared space to create and debate a new “founding” document. 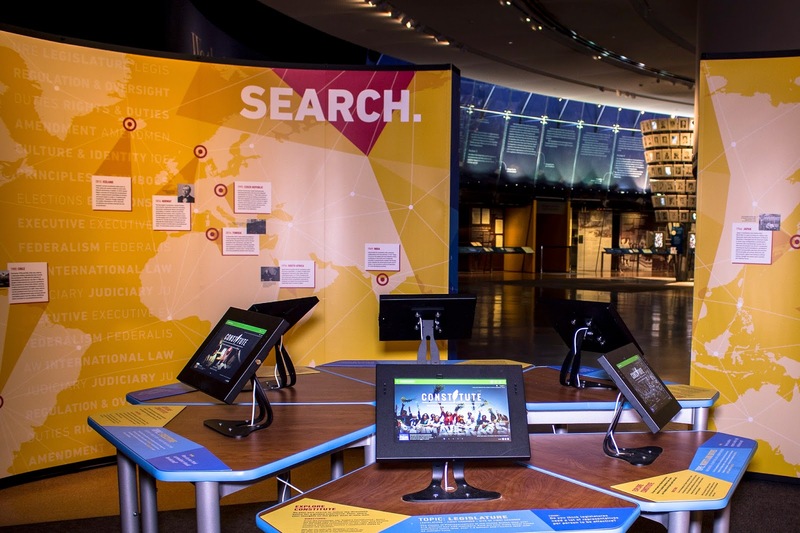 Today a new set of exhibits at the National Constitution Center helps bring this hands-on approach to the general public. Created in 1988, the NCC is an interactive museum in Philadelphia dedicated to the U.S. Constitution. The Constitute exhibit has two components. The first is an installation of Constitute that invites visitors to view the U.S. Constitution (and other Constitutions) in comparative perspective. 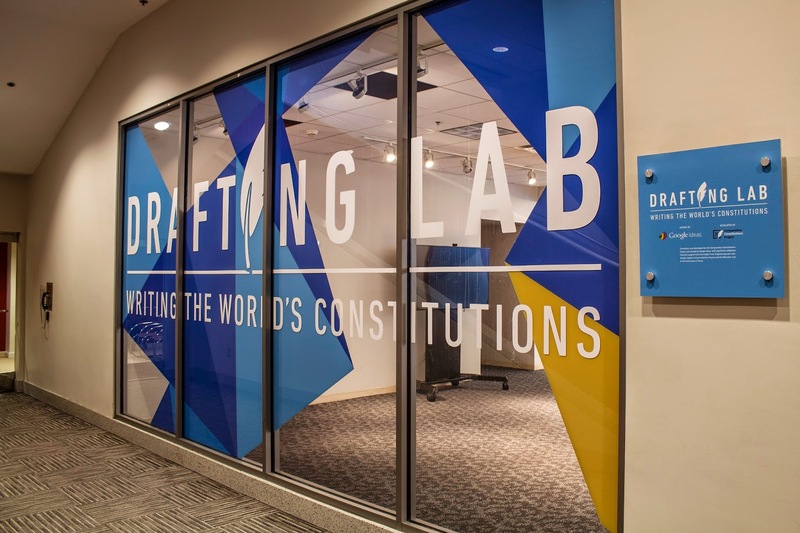 In the second component, select visitors can put this analysis to work in a space we’re calling the “Drafting Lab.” There, people can use Constitute and Google Docs to participate with fellow drafters in each of the stages of Constitution-making—from research to deliberation to drafting. The Lab might be the first of its kind in the world: a space for citizens and drafters of all kinds to imagine, rethink and rediscover constitutional ideas. We don’t really know what happens when drafters work simultaneously on the same piece of “parchment” (a Google Doc) and share the same workspace. So the sessions in the Drafting Lab may be illuminating for both scholars and for participants. If you're unable to visit the NCC and do some drafting in person, you can always give it a try at home by visiting constituteproject.org. This post comes to us from Zachary Elkins, Director of the Constitute Project. The Constitute Project was launched in 2013 as a way for constitution-makers, scholars, and everyday people to explore alternative ideas in constitutional design. -Ed.